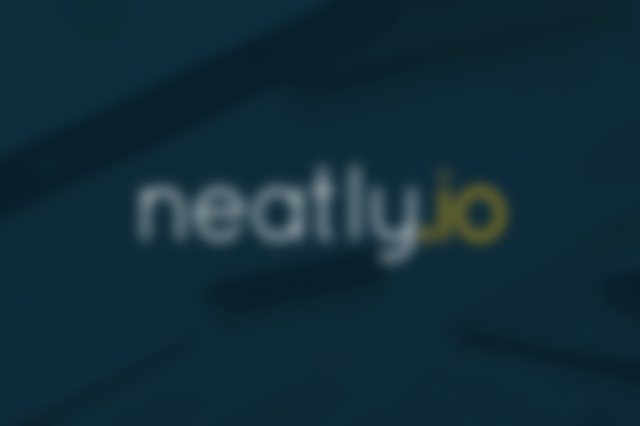 I’d only discovered Product Hunt about 6 months ago whilst looking for places that might be able to help us spread the word about neatly.io when we were ready. After reading the sheer number of blog posts touting how useful being featured on the site could be, I knew we needed to get onto the site. Looking straight for the tips? I’d already read about the hugely successful, Startup Stash, so I figured who better to ask about their experience of Product Hunt than Bram Kanstein? Back in May, I reached out to ask a couple of questions. Bram was super helpful and offered up some feedback on neatly, telling us to wait until we’d built the platform up a little more and come out of beta. He even offered to help us get onto the site when we were ready! I continued to read anything and everything I could about Product Hunt successes, fails, how tos… whatever would give me pointers about how to get the most out of a launch on the site. Tips for anyone in the same position: Medium and Maker Success are some great sites to find content on PH – I’d recommend you start there. In August, Jon let me know the plan, we were to come out of Beta in October and then launch shortly after on Product Hunt. Having compiled all my research together, we came up with a plan of how to get on, what to do whilst on it and post-launch. Around Mid-September, I reached back out to Bram for advice on the next steps. We knew we wanted to offer Product Hunters a free trial, so Bram recommended we try submitting via the Exclusive Offers form on site, rather than getting a Hunter to submit us. Mid October – about 2 weeks after coming out of beta – we submitted the form. We’d been holding back on submitting for a while to make sure everything was ready but we knew if we didn’t do it now, we never would! For all our planning, we didn’t fully know what to expect next, but a few days later, Jon called me to his desk to read an email. I read one word “unfortunately” and my heart sank. Damn! “What does he mean?” Jon asked, “Is he going to help us get on?” Confused, I read the rest of the email and realised that actually it wasn’t all that bad! And better yet, the email was from Ben Tossell, maker of Marketing Stack, another hugely successful product that I admired. Ben didn’t see the offer as exclusive enough but was still willing to help us get onto the site, right down to helping us find a hunter – brilliant! We sent all of the details Ben had asked for, and asked if we could be posted on October 27th at 7am GMT. He got back to us to tell us, that Eric Willis, the king of product hunters, would be posting us on the site. I was starting to feel pretty optimistic about our plan now, and went back over all the details to make sure we were ready. A massive thank you is owed to Ben for being so helpful! Come Monday, we weren’t really sure if we’d be going live on the Tuesday and thought that we’d possibly been put into a wait list, after all Eric probably had a list a mile long of startups asking him to submit them to the site! Not to worry though, it just gave us time to get some outreach done in the meantime. HOLY CRAP! Excitement, panic and nerves immediately set in and as soon as I parked at the train station, I spent the rest of the journey refreshing my phone on our page. As soon as I was in the office (after pretty much power walking from the station), I got Slack (for our neatly-support channel), Twitter, Product Hunt, Intercom and Google Analytics open, and the rest of my plans were out the window. The first five minutes were spent just watching the real-time analytics of people on the site – it was pretty mesmerising and exciting! I set about following and tweeting everyone who had upvoted us on Twitter, as well as responding to any messages on intercom and comments on the Product Hunt itself. Trying to keep up with who I’d thanked and followed was tough and I was constantly aware in the back of my mind of not doing anything to upset the Product Hunt team to get us disqualified or penalised. The entire day was a blur of keeping up with new sign ups, Twitter (and finding time to fit in my emails and the odd bit of client work), with calls from Jon of “Ooh we’re first”, “Ooh we’re third”, “Ooh we’re second)! We were up against some great products, and I knew from keeping up with Product Hunt in the past that Git2go, Aerial and 500 Miles would be a hit with the community (and deservedly so) – awesome code-related, startup related products or beautiful imagery are a surefire winner. Throughout the day our biggest peak was at 2pm – when the east coast of USA woke up, but the traffic never really died down til well after 10pm that night. On average we had around 20-30 active users on the site throughout the day. I was hoping for 100 upvotes, but by the end of the day we had well over 200 and had managed to stay in fourth place. I knew that having stayed in the top 5, we could expect a place on the following day’s digest email, so Wednesday was spent trying to catch up on the work I’d left behind the following day and waiting patiently for the email. Of course the digest brought in another spike of traffic, and this time, we saw a peak of 80 people on the site at one time, with well over half of them from Product Hunt. Even in the days following, we noticed a trend of a mini spike in user sign ups around the time the PH digest was sent out. For me, aside from fan-girling over being on Product Hunt, one of the great things about being featured was the amount of feedback we got. Whether it was just really nice comments, suggestions for new integrations, or pointing out bugs we’d never seen before, the overall response was really positive and constructive. I also like to think that part of our success was how quickly we responded to any queries. Overall, we doubled the number of users we’d previously had in the week following our Product Hunt launch, so purely from that I’d count it as a success. Also as a B2B product, we did really well. B2B products have a history of not doing well on Product Hunt, as the community tends to love more fun, gimmicky things like gifs. If anything is more B2B-aimed, they tend to be more startup-focused, which might have been what helped us. – Start off by signing up to Product Hunt for a few months prior to you wanting to get on. Get involved and you’ll quickly see what the community loves and learn how to get the most out of your submission. – Plan – read, research and plan as much as you can. Put it all in a Google Doc. It means that in the event that you do get submitted before you’d like, or when someone’s not in, you’ll still know what to do. – Make sure your site can handle a lot of visitors, we didn’t get website crazy numbers, but it gave us comfort knowing that the site was running okay. – Clear your diary when you get onto Product Hunt – if all goes well, you’ll get a lot of comments, tweets, support queries that need attending to. – Enjoy it – Product Hunt is a really welcoming and helpful community.